Most of us spend our lives working towards our retirement years. We want to ensure that we are looked after and that we have the opportunity to enjoy life in our later years and connect with other people who are looking for the same. Christadelphian Aged Care understands this, and we work to make sure that our residents are happy and content in their new home. While we have self-care options available to more independent residents, we understand that others require a higher level of care and assistance. This is why we also have eight lovely Homes where we provide residential care for the elderly. Essentially, this type of service is for those that are no longer able to look after themselves in their own home anymore. They may need assistance with a range of tasks which include, but are not limited to, showering, medication management, and specialised nursing care depending on their circumstances. Our well-trained staff are available 24 hours a day, seven days a week. This means that all of our residents are looked after around the clock by compassionate and caring people who will assist them with all of their care requirements and a range of other residential aged care services. Our residents’ health and well-being are our main priorities, and we know that eating nutritious meals are a key component in this. After considering individual dietary requirements, our chefs prepare delicious and freshly cooked meals at all of our Homes. By using seasonal produce, our residents can look forward to tasty dishes every day. Encouraging healthy minds and bodies is another way that we work towards improving the quality of life of our residents. This is why we organise so many activities to keep our residents active and involved in the community. While we are offering in-home aged care in Sydney and surrounds, we still want our residents to socialise and enjoy their surroundings and the beautiful outdoors. Our homes are situated in Gladesville, Padstow, Padstow Heights, Wyoming and North Paramatta. We also have a centre in Kallangur in Queensland that offers both a retirement village and an aged care home. Our residents can look forward to beautiful grounds and a range of activities and entertainment options. These include games, events, and volunteer programs. Residents will always have something to keep them busy, or they can relax and enjoy the scenic surroundings. Our specialised care extends to assisting residents with dementia, and cognitive and behavioural difficulties. Again, because our highly skilled staff are always on hand, these residents will always be taken care of as they go through this difficult transition in their life. Our Homes have designated areas specially set up to make the lives of these residents safe, secure, and comfortable. They also have access to the gardens and other outside areas. 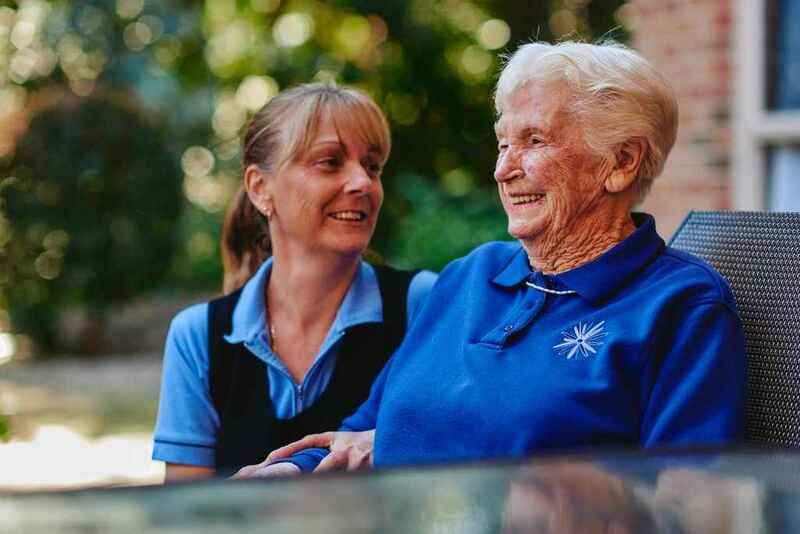 If you feel that you or your loved one requires professional, secure, and private care, Christadelphian Aged Care is the right choice. We are incredibly proficient at providing physical assistance, but we also have a strong focus on pastoral care and ensuring that our residents’ emotional and spiritual needs are met. It is important to note that if you or your loved one decides to join us; documented approval needs to be obtained from an Aged Care Assessment Team (ACAT). You can find more information about this on the My Aged Care website. However, if you’d like to chat about our services or to find out more about our residential aged care facilities, then please contact us today. We’re here to put your mind at ease by providing any additional information you may require.